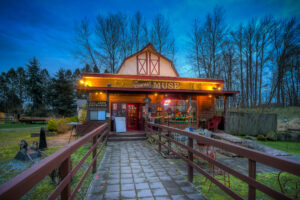 Skagit County is home to a thriving live theater community, with numerous community theater groups operating in the area and producing a wide variety of shows for all audiences. One reason for the vibrant theater scene is the fantastic theater venues that groups like TAG can access for live productions. The Lincoln Theatre in downtown Mount Vernon, built in 1926, was home to TAG’s first production — The Hobbit — in 1992 and has been the venue for numerous TAG productions since, including The Rocky Horror Picture Show, Inspecting Carol and RENT. The Lincoln provides theater-goers with with a unique and intimate viewing experience, helping to bring a story to life by making the audience feel like part of the show. The Lincoln Theatre is located at 712 South First Street, Mount Vernon, WA 98273. 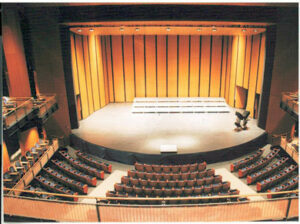 McIntyre Hall, a state-of-the art 700-seat facility opened it’s doors in November 2004 after a grassroots effort to have a dedicated performing arts facility built in Skagit County. SInce that time, McIntyre Hall has hosted numerous TAG productions including The Wizard of Oz, Hairspray, Cinderella and Peter Pan. McIntyre Hall continues to be one of the top facilities in Washington State because of the ability to stage elaborate shows with complex set and lighting requirements. McIntyre Hall is located at 2501 East College Way, Mount Vernon, WA 98273.